Ever since he was healthy enough to be outside, Creed has had a fascination with his city’s garbage truck and driver, Rodney Dye. Every week, Rodney comes by his house and it’s a dream come true for the young survivor. Rodney is a Kingsport Public Works employee with more than 17 years on the job. Over the years, he’s met some amazing people, but none as incredible as Creed. Creed has many health issues, including heart problems. He’s had numerous operations and even though he won’t ever live a ‘normal’ life, he has one thing worth watching for – and that’s the weekly appearance of Rodney in his Kingsport garbage truck. After Rodney noticed Creed every week, he started waving and stopping to visit with the young boy. As luck has it, Rodney and Creed’s grandmother attend the same local church where she was able to tell Rodney just how much it meant to him to stop at Creed’s house. Rodney took this information to heart. He wanted to enhance Creed’s life the best way he knew how – get Creed in the driver’s seat of a garbage truck. This came true at the Kingsport Public Works Day. 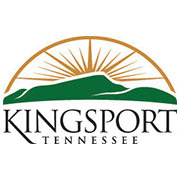 Public Works Day is held every year in the city of Kingsport and it’s an opportunity for the public to get up close with all the equipment the department uses, such as street sweepers, snow plows, bucket trucks and yes, garbage trucks. Creed and his family arrived at the event and Creed instantly wanted Rodney to be the one to push him around in his big kid stroller. The group made their way around the event, looking at all the machines and equipment, but Creed perked up and pointed to the garbage truck when it came into view. Rodney helped him climb into the driver’s seat. The instant Creed sat down, it was all smiles and laughs and screeches of excitement. Creed pulled on levers. He pushed all the buttons he could reach. He pressed the petals as many times as he could. He even honked the horn, but only once because it was so loud. His smile fantasizing about having his own garbage truck one day was contagious – everyone around him, family and strangers, could see just how happy this young boy was living his dream. Rodney eventually helped him out of the truck. Creed was exhausted and his family was ready to take him home. Every week, Creed gets to watch for Rodney and in turn, Rodney gives this young boy a reason to watch for him. For Rodney’s original story, please visit here. To learn more about Creed’s incredible journey, please visit Creed’s Mending Heart on Facebook. Highlighting Heroes: Kingsport Sign Technician with Special Talents Goal Accomplished: She Rode All 32 Carousel Animals!